The god of thunder finally shines in a psychedelically quirky road-trip movie set during the end-times of Asgard. If we’re being completely honest, the “Thor” films are probably the weakest in the Marvel Cinematic Universe. Compared to the rest of Avengers, the god of thunder’s storylines are underwhelming and forgettable. Even “Ant-Man” got better reviews than the first “Thor” movie. All things considered, it’s pretty remarkable that “Thor: Ragnarok” is now one of the top-rated Marvel films and actually made Thor cool again. Ragnarok is coming. The prophesied destruction of Asgard is inevitable, but Thor (Chris Hemsworth) is trying to prevent it anyway. When the goddess of death, Hela (Cate Blanchett), threatens to take over Asgard, she strands Thor on the junkyard planet of Sakaar, where he must fight his way out with the help from unlikely allies like his mischievous brother Loki (Tom Hiddleston), the incredible Hulk (Mark Ruffalo), and bounty hunter Valkyrie (Tessa Thompson). Oh, and Hela destroyed Thor’s beloved hammer Mjolnir. Now we have ourselves a movie. Thor has always been an aloof superhero, and “Ragnarok” uses that to its advantage by allowing Hemsworth to flex his comedic muscles. He’s still badass and everything, but it feels like this is the first time Thor’s personality reaches its full potential. It’s also good to see Loki, arguably Marvel’s strongest cinematic villain, back on screen and outwitting everyone. And while the Hulk has gotten the most attention as a supporting character, the standout performance is definitely Tessa Thompson as Valkyrie. It’s a relief that the dull and one-dimensional Jane Foster (Natalie Portman) is absent from “Ragnarok,” but it’s even more exciting that there’s a fierce, self-reliant female warrior holding her ground alongside Thor. Another strong performance comes from Cate Blanchett’s as Hela. Her menacing yet sultry presence is already intimidating, but once she kicks into full gear and shows off her powers, it’s clear just how much of a threat she is. Right off the bat, “Ragnarok” establishes a drastically different vibe than the previous “Thor” films. Visually, the film is vibrant and colorful, thanks to the fact that it mostly takes place in Asgard and Sakaar rather than splitting its time on Earth. Director Taika Waititi (“What We Do in the Shadows”) also brings his eccentric yet refreshing sense of humor to the franchise. While the first two “Thor” movies were more somber, “Ragnarok” is unapologetically lighthearted and even absurd. It’s not as slapstick as “Guardians of the Galaxy,” but the unconventional humor works well with Thor’s theatricality and charisma. Of course, “Ragnarok” has its downfalls, but none of them are severe enough to detract from the fim’s enjoyability. There are moments when the humor gets in the way of storytelling and a serious tone would have built the plot better. The Odinson family dynamic could be explored in greater depth, especially in the beginning of the film when surprising information is revealed. In addition, Hela had the potential to be a powerful and unique supervillain, but her capabilities are overshadowed by a mundane sidequest. And for a movie centered around the destruction of Asgard, “Ragnarok” spends the majority of its time on a different planet. Still, the strength of the narrative and characters make “Ragnarok” a thoroughly entertaining experience. “Thor: Ragnarok” just goes to show that Marvel is still the leader of superhero films. It’s wonderfully absurd and entertaining, and it’s so satisfying to see Thor finally shine in his own feature film. 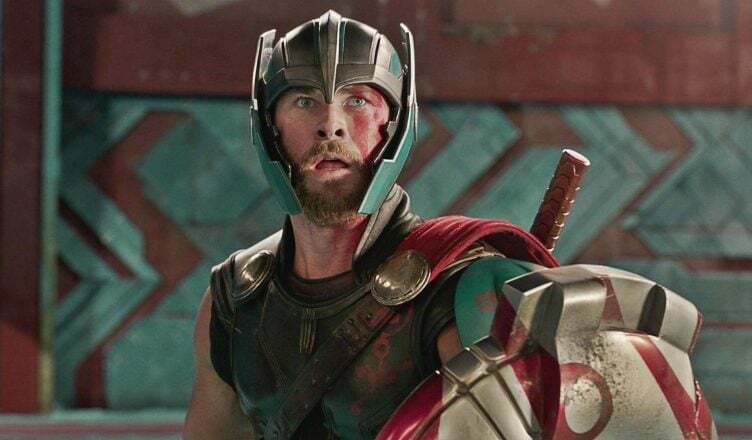 Not only does “Ragnarok” erase bitter memories of the shortcomings of previous “Thor” movies, it adds to the overall Marvel lore and will get fans counting down the days until “Avengers: Infinity Wars.” Be prepared for Thor to be your new favorite Avenger because he’s worth the hype.